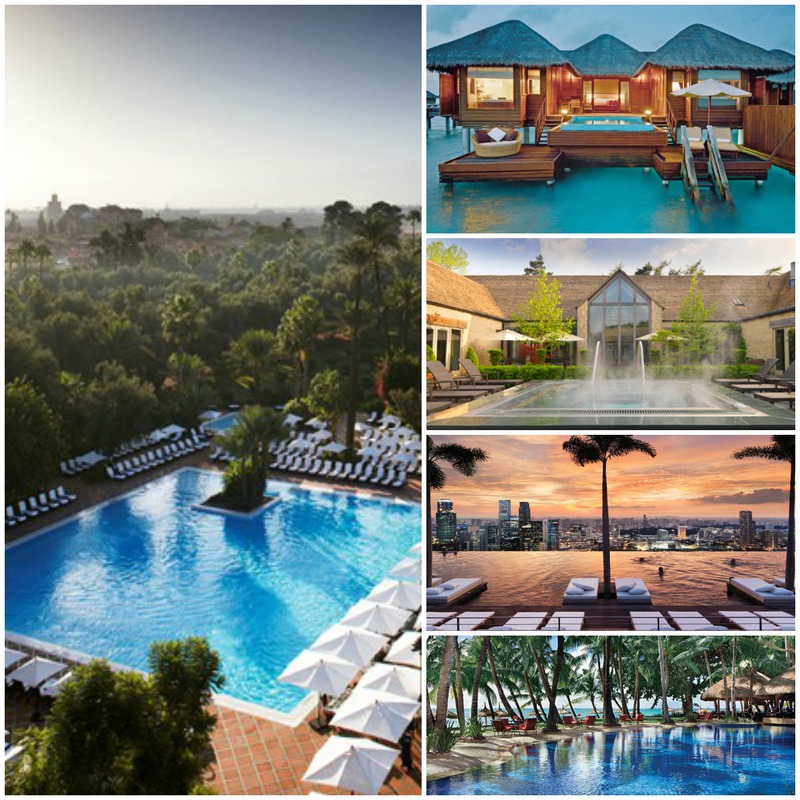 This iconic hotel is renowned for so many reasons, not least for their extraordinary pool, around which the great and good of the world stage have rested their weary limbs (it has hosted everyone from Winston Churchill to Sarah Jessica Parker). The pool itself is a vast, shimmering expanse of cooling blue, while the poolside restaurant is fantastic, and you can order food and wine to your sunbed, all through the day. Naturally. What better pool, than your own pool? 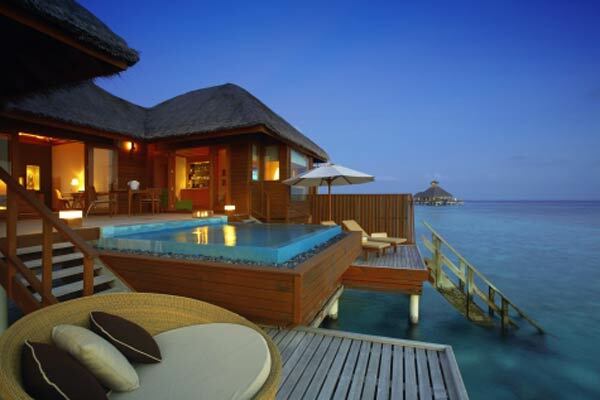 The ocean villas at Huvafen Fushi in the Maldives are some of the best around, with expansive space for lazing and sun-worshipping. The mini-infinity pools are just the right size for a cooling soak, and the handy shelf around the edge is the perfect place to rest a glass of vino. 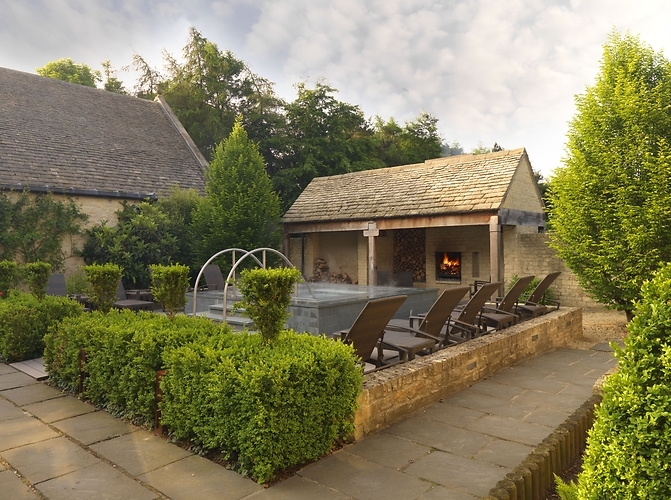 Obviously I am biased, this local gem is a personal favourite, but there’s something to be said for the hot tub at Calcot, which boasts its own log fire, which you can personally stoke to further warm the air, while the soothing surrounds of Cotswold stone and the gentle pace of country life seem to seep into your body and mind. 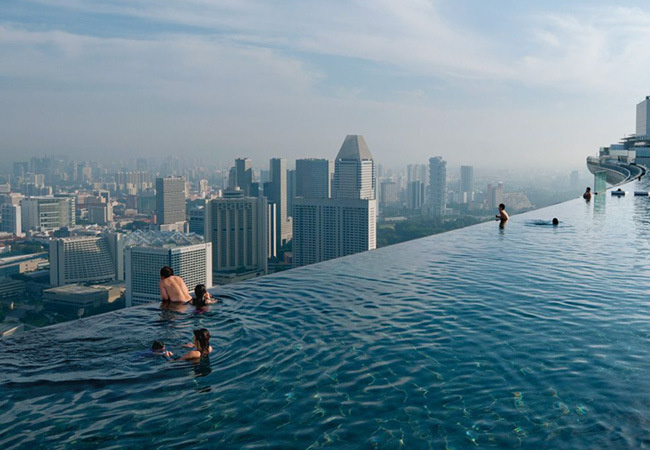 For views, this pool really can’t be beat, without question the most extraordinary infinity pool I’ve ever seen, and just the perfect place to recoup after a mad day trawling Orchard Road and buying everything in sight. 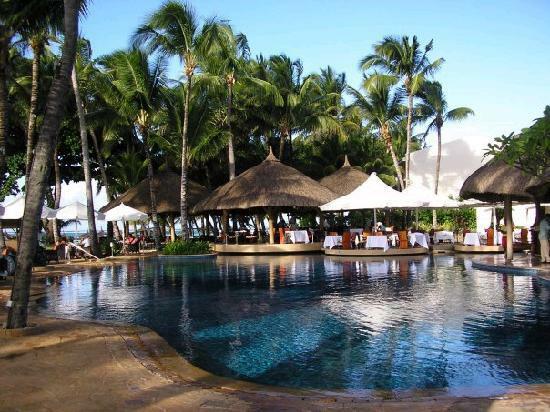 Literally just off the beach, with the obligatory bar in the pool that ensures you feel completely decadent before you’ve even started, this weaving, winding pool is a great place to soak for hours, while watching beach life wander by.